Located within Oakland’s bustling downtown, Oaklandish carries a wide variety of apparel and novelty items that represent Oakland culture, and the proceeds from the sales in turn helps to give back to the community. To many Oaklanders, Oaklandish is a representation of Bay Area life, carrying many items that display pride and loyalty to their city. Such items include t-shirts displaying the famous Oakland roots tree and posters with maps of the city on them. While Oaklandish produces and sells Oakland-specific merchandise, they are also involved in community programs. Oaklandish Community Liaison Chinwe Okona shared a bit about what Oaklandish is currently involved in. Okona also admires the climate that Oaklandish creates. Oaklandish has made its mark in the Bay Area; it has won over 20 Best of the East Bay awards, including Best Public Art (2002), Proudest Hometown Merchandise (2005), Best Gallery Openings (2006), Best East Bay Product (2008-2010) and Best East Bay Idea (2011). The store partners with other local businesses on various projects to promote civic pride and celebrate Oakland spirit. Some of their partnerships include Brown Sugar Kitchen, Chop Bar and Oakland’s Eat Real annual festival. These various businesses, in partnership with Oaklandish, create t-shirt logos and even help organize community events. Examples of the logos can be seen here. Oaklandish also donates to local non-profits, community groups, independent businesses and artists. Some of the places they donate to are the Lake Merritt Garden Center, Oakland Public Library and the Pangea Global AIDS Foundation. Their donations range from supporting community centers and high schools in the area to local rappers and artists such as Zion I and Hieroglyphics. Oaklandish is also environmentally conscious and strives for sustainability, as most of their gear is made in California, and all apparel prints are printed by hand in Oakland. Oaklandish also has what is called the “I am Oaklandish” program, which supports the creativity of young local artists in Oakland. Each year, a specific artist becomes the official Oaklandish sponsored artist for the calendar year and represents the culture of Oakland for that year. One of the sponsored artists is Chinaka Hodge, a poet and playwright from Oakland who was also named Best Poet by the East Bay Express in 2008. Not only recognized as a pillar of the community, Oaklandish is also considered to be a B Corporation. According to the B Corps website, they are “certified by the nonprofit B Lab to meet rigorous standards of social and environmental performance, accountability and transparency.” These corporations are redefining success in business and distinguish themselves from large corporations by proving themselves to be a positive force in the marketplace. B Corps use a scoring system looking at governance, workers, community, and involvement to assess the impact of the organization. Eighty out of two-hundred points are needed to be eligible for certification. In an August 2012 report, Oaklandish’s company score was ninety-one, scoring the highest in the community section, demonstrating a clear connection to community service and sustainability. With an apparent dedication to the community and environmental sustainability, Oaklandish remains a crucial part of the Oakland community. Mills first-year Melissa Castro seems to agree with Oaklandish’s positive stamp on the Oakland community. 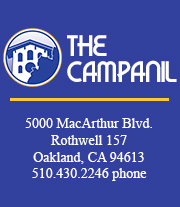 Oaklandish has two Oakland locations, one in Downtown Oakland at 1444 Broadway (between 14th and 15th), and a new location in Oakland’s Dimond district at 3419 Fruitvale Avenue. Both stores are open Monday through Friday from 11am – 7pm, Saturday from 10am – 7pm and Sunday from 11am – 6pm. On First Fridays, the Downtown Oakland store is open until 10 pm.